The KEEN Detroit Mid ST shoe is so comfortable, you may enjoy wearing it long after your shift is over. This men's waterproof leather boot offers a KEEN.DRY waterproof, breathable membrane with a stability ESS shank and a removable, metatomical dual-density EVA insole. 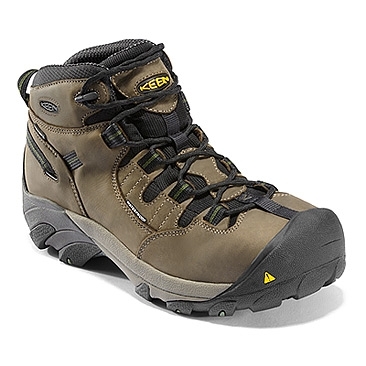 The non-marking rubber outsole of the KEEN Detroit Mid ST work boot provides oil- and slip-resistant protection.